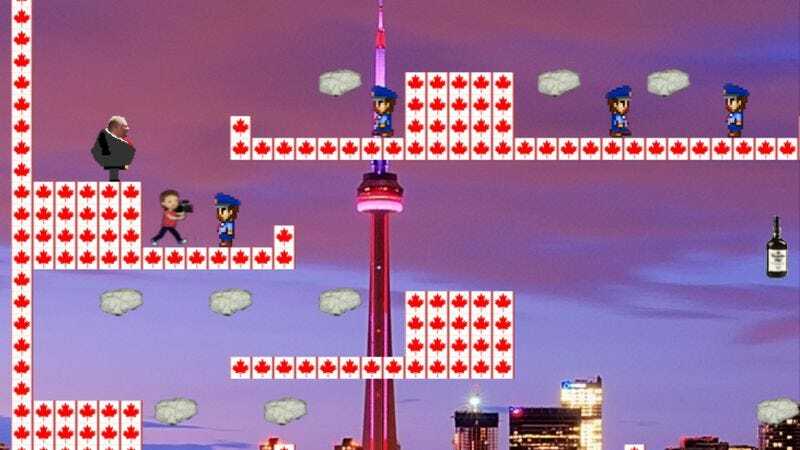 Now you too can experience what impunity feels like with Crackathon (aka Rob Ford: The Video Game), a free 8-bit platformer created by two students at the University Of Waterloo. In the game, players must increase their “party level” by consuming as much crack, marijuana, and whiskey as possible while avoiding cops and the media. This isn’t the first time Canada’s drunk uncle has been immortalized in video game form, but it is the first time that you get impeached when public opinion (i.e., the timer) runs out.